In the era of information overload, text clustering plays an important part in the analysis processing pipeline. 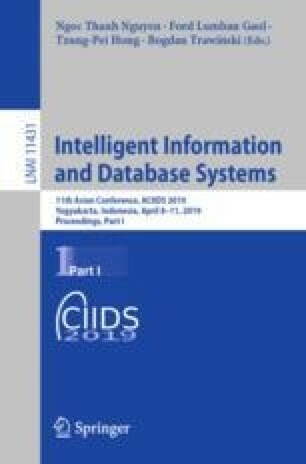 Partitioning high-quality texts into unseen categories tremendously helps applications in information retrieval, databases, and business intelligence domains. Short texts from social media environment such as tweets, however, remain difficult to interpret due to the broad aspects of contexts. Traditional text similarity approaches only rely on the lexical matching while ignoring the semantic meaning of words. Recent advances in distributional semantic space have opened an alternative approach in utilizing high-quality word embeddings to aid the interpretation of text semantics. In this paper, we investigate the word mover’s distance metrics to automatically cluster short text using the word semantic information. We utilize the agglomerative strategy as the clustering method to efficiently group texts based on their similarity. The experiment indicates the word mover’s distance outperformed other standard metrics in the short text clustering task.